For the past few months, Mazda has been hinting at the homogeneous charge compression ignition (HCCI) motors, but the idea goes back to 2008 when Mazda started working on their Skyactiv technology and brand. The original plan was laid out to introduce the Skyactiv I technology, and then offer a Skyactiv II phase in the future, which was to be the next step up in efficiency and performance. Recently, Mazda officially announced the Skyactiv X after Robert Davis gave a speech announcing there is more to be given from internal combustion engine (ICE). This has been Mazda’s plan all along and they are sticking to it. So where does the Mazdaspeed by another name come into this conversation, you ask? Mazda needs to meet its corporate goals of improving fuel economy while also ensuring performance. Right now, Mazda has the 2.5 turbo motor used in the CX9 and the 2.2 turbo diesel motors as the go-to for horsepower. I found three references where the term “supercharged” has been discussed with the new Skyactiv X engines. The term has been used in the past for both belt-driven blowers and exhaust-driven blowers. 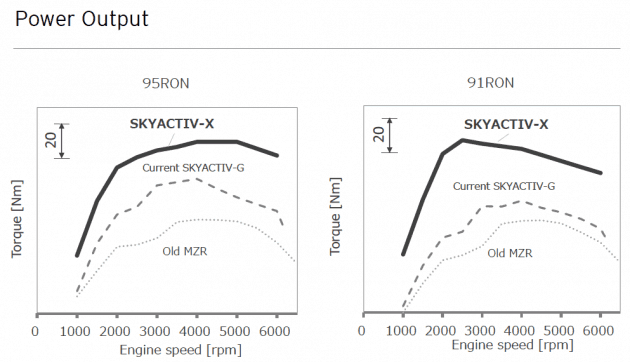 Give Mazda’s familiarity with the turbo motors on the Skyactiv technology, my money is already on the turbocharger for gas engines. In the past, Mazda has said the new motors will be used across all the models, which means that, yes, we should see a turbocharged Mazda 3 and Mazda 6 again in the future. I know the Mazdaspeed name and Mazdaspeed 3 and Mazdaspeed 6 models are dead, but we will once again be able to play with boost in our favorite manufacturer’s cars. 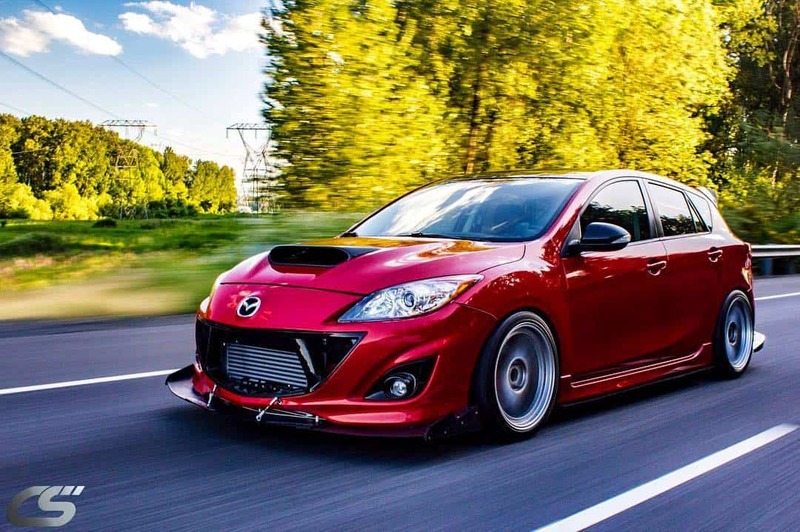 Where can I get that opened up front end insert that exposes the FMIC like the red speed 3 in the article picture, it’s awesome. Any info would help. It is a garage Vary grill insert. Brand and size wheels, tires and off set. Love the way they look.